Let’s face it, we all can be a little vain. We believe self love is the best love, so what’s wrong with indulging in yourself? As women we are naturally consumed (addicted) to how our hair looks, what we are wearing and everything else superficial. The sister duo behind “Selfie Addicts” online shop define their company name as just being addicted to oneself. What better way to express yourself but through fashion? So for all those Selfie Addicts they have fine clothing, shoes, accessories and more! 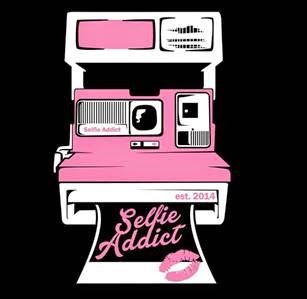 Selfie Addict was launched in 2014 to stand out amongst the competition. The company sets out to create a fashion addiction where selfie addicts can find their fantasy through their pieces. We’re living in a selfie era where image matters, so why not get into it? Check out Self Addict designs on their website, www.selfieaddictshop.com.